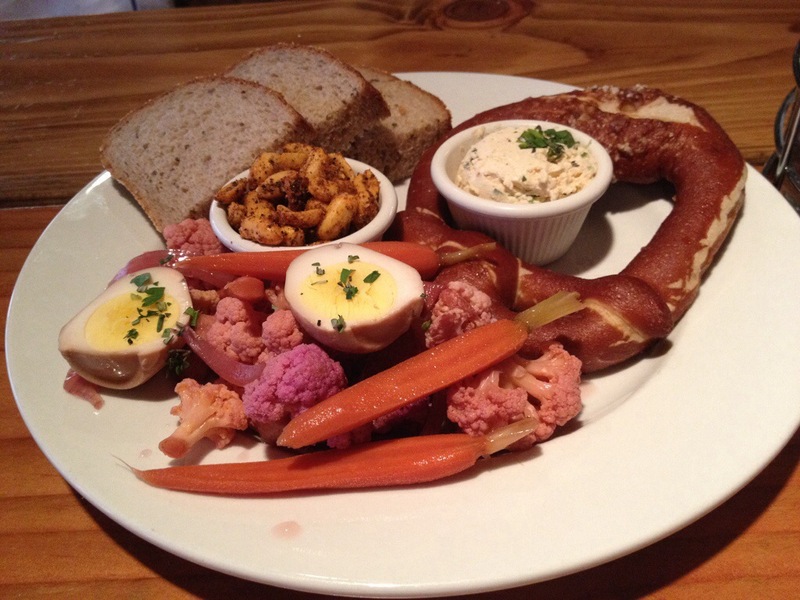 In German, Brotzeit Lokal means pub snacks. In Oakland, you’ll find a restaurant with this name located by the Waterfront close to Jack London Square. I had dinner with friends about a month ago and went back for lunch last weekend. We were early so we ordered some German beer and the beer snack platter while we waited for our other friend to arrive. The platter had an interesting variety that included pickled vegetables, smoked peanuts, a pickled egg, a soft pretzel, and a cheese spread. The individual items were good, but it seemed like a hodgepodge. We were there early enough for the happy hour dollar oysters on the half shell so I ordered a few. For a dollar, they were pretty good. 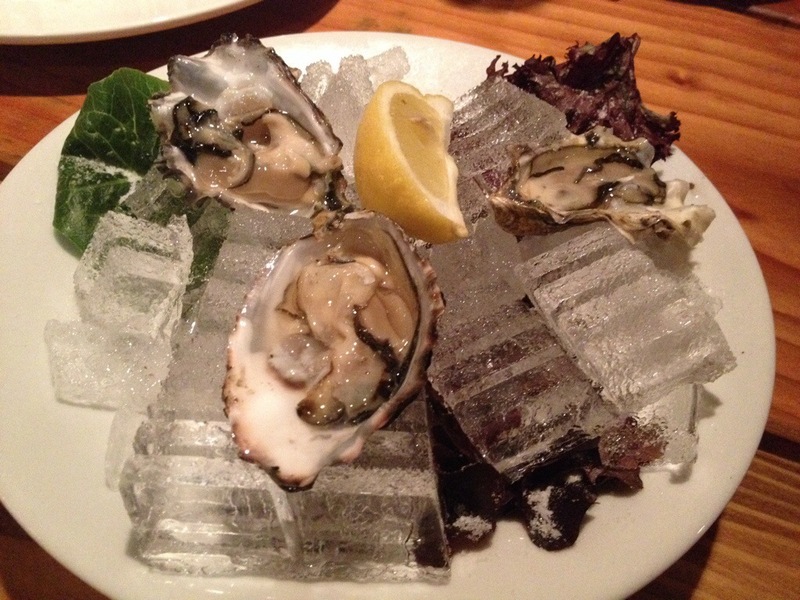 It would have been better if it was served with a mignonette sauce. 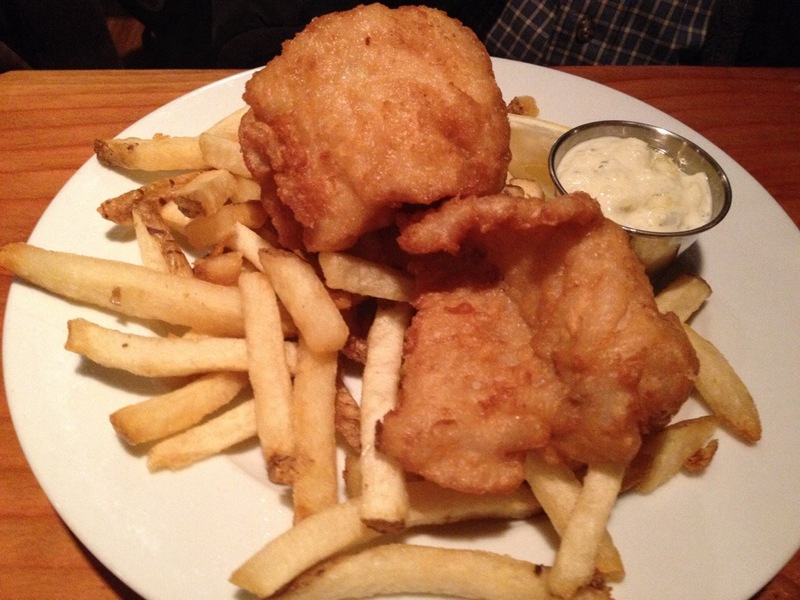 For entrees, one of my friends ordered the fish and chips which was a beer battered rock cod. The fish was fresh and had a nice coating. I don’t know a lot of places to get fish and chips in the East Bay and thought this was a good option. 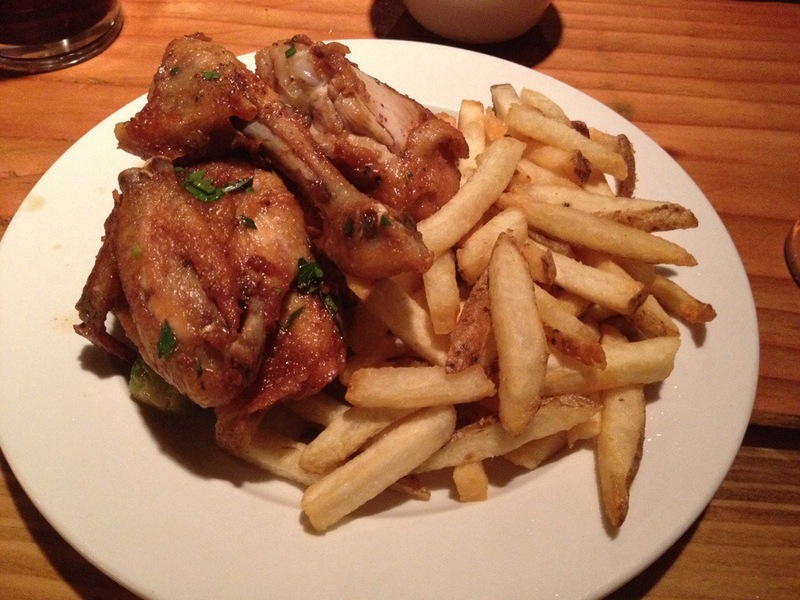 I ordered the crispy chicken which came with brussels sprouts and french fries. Why did I order chicken? I think it’s because one of my favorite words is “crispy.” I did enjoy the crispy skin and the juicy meat, but the dish lacked some flavor. My other friend who joined us later ordered the brotzeit platter which had one of their homemade sausages and many of the items on our beer snack platter. The homemade sausage was the star of the plate. It was actually the star of the entire meal. It was what brought me back for lunch last week. It was a warm beautiful day when I returned to Brotzeit Lokal. I was able to sit out in the Biergarten and enjoy the views of the birds and the boats. I ordered the wurst on a bun, which was my choice of a homemade sausage with sauerkraut, pickled red onions and jalapeño. 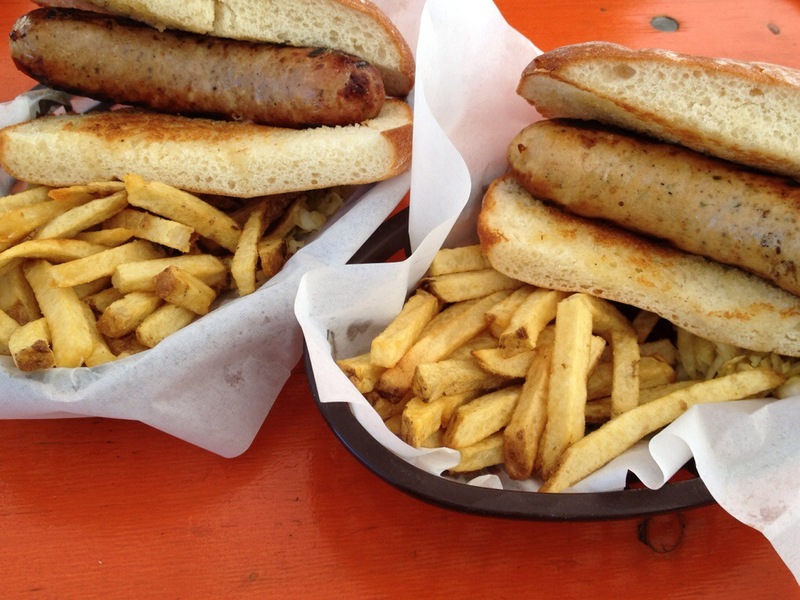 I got the bockwurst which is made with chicken, pork, white wine, chervil, and juniper. 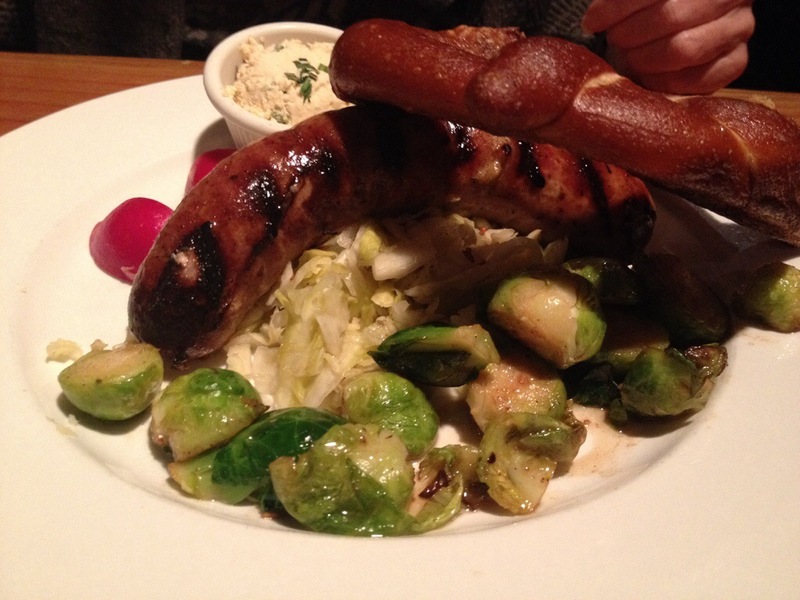 My friend ordered the knackwurst which is made with pork, beer and juniper. These hit the spot. 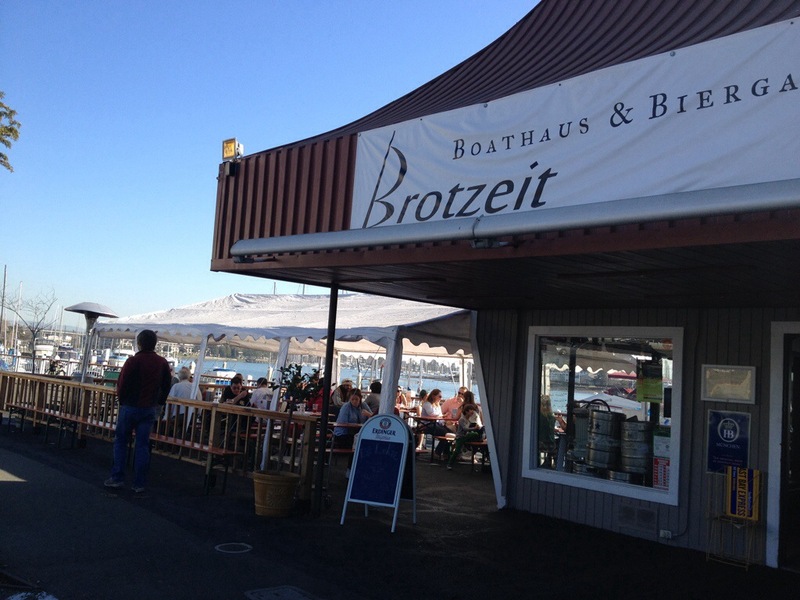 Brotzeit Lokal is definitely a great place to enjoy beer, sausages, and a warm sunny day in Oakland.